Guess the Kaido Racer: a Ferrari?? Well, that’s a tough one! Now what car is hiding under there?? 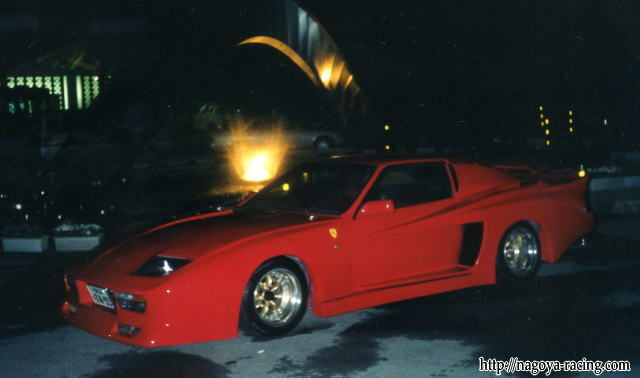 The Z32 is an obvious choice because of the similar head lights, but the roofline, b-pilar and 4 lugnut wheels made us positive on a Z31. Now look carefully,based on the door mirror and the line of the roof,i guess this might be an Savanna RX-7(SA22C).. Very interesting suggestion indeed. Its roofline and doort does indeed look a lot like the SA22C. 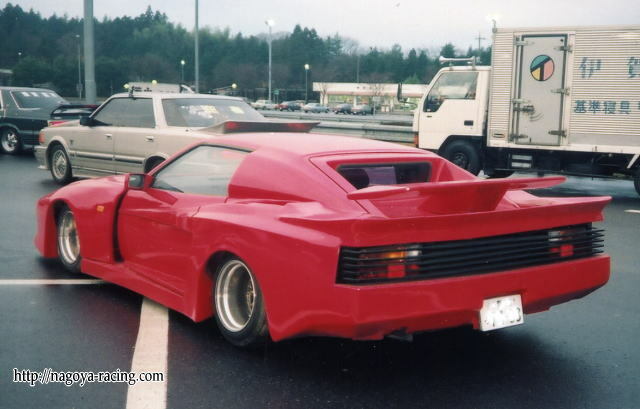 But is the SA22C wide enough to be this car?